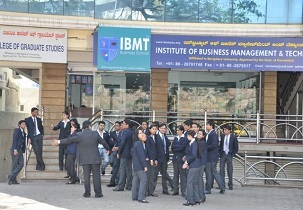 Institute of Business Management and Technology was started in the year 1999 to provide education in the field of management and technology. This institute is situated in the silicon city Bangalore which is also known has IT hub of the country. This institute offers various under graduation and post-graduation courses along with some functional specialization programs in the field of management. 10+2 from any recognized board with minimum 50% aggregate. Entrance test held at institute level. Offline Mode: This institute accepts only offline application. Applicants can directly get in touch with the admission section of this institute to get the application form and college prospectus. Application fee can be paid through Demand Draft in favour of Institute of Business Management & Technology payable at Bangalore. Financial Assistance for below poverty line students. Educational loan for under-privileged students. Computing Lab: This institute have good computing labs where there are many computers for all time use of the students. 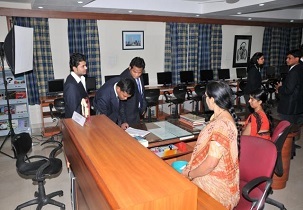 Besides, they have many other facilities along with documentation, training on software etc. Knowledge resource centre: This institute has the finest library with most of the important volumes, journals, references etc. in various subjects. This resource centre complements its own possessions to interlibrary network. Accommodation: This institute provides accommodation facility to all the outstation students with all the comforts and basic amenities. Hostel consists of facilities like TV, recreational room with various activities, water coolers etc. Gymnasium: This institute has set up a well-equipped gym. This was set up with the concern to enhance the physical heath of the students. Write Your Reviews on "Institute of Business Management and Technology Bangalore"
Are you Interested in "Institute of Business Management and Technology Bangalore"? Please provide the following details. 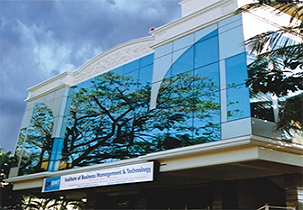 Ask Question on "Institute of Business Management and Technology Bangalore"?